ServiceMaster by Monroe Restoration is the main provider of disaster restoration and cleaning services for homes and businesses in Goshen, IN. Since 2006, we have been serving Goshen, IN and the surrounding Northern Indiana communities in La Porte, Starke, Elkhart, St. Joe, Lake, Porter, Pulaski, Jasper, Allen, De Kalb Wells, Noble, Adams, Huntington, and Whitley counties. Our technicians are highly trained and equipped to help those in our community get their homes and businesses back on track after a major disaster. We are also a member of ServiceMaster’s nationwide catastrophic response network that helps with major losses anywhere in the U.S. The main services that we provide in Goshen, IN include water damage restoration, fire damage cleanup, mold removal, carpet cleaning, air duct cleaning, construction services, hoarding cleaning, and biohazard cleaning. We use only the best cleaning products and equipment of the industry and we are available 24 hours a day to provide emergency response. Our technicians are committed to providing excellent customer service and peace of mind as you recover from a disaster. You can call us 24 hours a day at (574) 231-7179 for emergency restoration services in Goshen, IN. It is difficult to completely prevent water damage in a home or building because it can happen in so many ways. 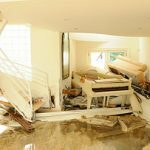 Heavy rain and flooding are common causes of water damage and it can also result from internal issues such as overflows, burst pipes, and leaks. Water damage can become a major problem because most building materials are absorbent and allow excess water to spread through them which quickly leads to structural damage and mold growth. 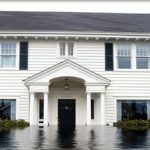 ServiceMaster by Monroe Restoration provides water damage restoration services in Goshen, IN to remove excess water and repair the resulting damage. 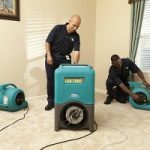 We use the most advanced drying equipment available to ensure that your home or business is completely dry following water damage. 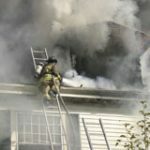 Fires are always an unexpected nightmare that can quickly ravage your home or building and put you and your family at risk for serious injury. Once a fire is put out, the soot and corrosive byproducts left behind will keep spreading and the damage they cause will become permanent if it is not properly cleaned soon enough. ServiceMaster by Monroe Restoration provides fire damage cleanup services to restore and rebuild homes and businesses in Goshen, IN affected by a fire. We are equipped to handle any degree of damage caused by a fire and we will help prevent your belongings from becoming permanently damaged. Mold is a troublesome presence in any home or building because it can cause extensive damage to the affected surfaces while increasing the risk of related health effects. It often starts due to excess moisture or water damage and because it uses the affected surfaces as a food source, it can eventually cause irreversible damage. 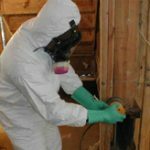 ServiceMaster by Monroe Restoration provides mold removal services in Goshen, IN to completely remove mold growth in commercial and residential settings. We will keep the mold growth contained to prevent it from spreading and make sure to locate and remove all hidden mold growth as well. The carpet is one of the most important furnishings in a home or building because it affects the look of the space and it is used daily. Over time, dirt and debris from the foot traffic accumulates in the carpet fibers where it can cause the fibers to come apart and make the carpet look dirty or discolored. 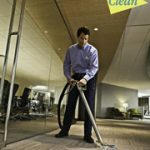 ServiceMaster by Monroe Restoration provides professional carpet cleaning services for homes and businesses in Goshen, IN. Our innovative cleaning method will remove embedded debris and stains and it is safe for all types of carpeting. The heating and cooling is essential in any home or building to provide a comfortable environment. As the heating and cooling runs, the HVAC system takes in air that contains airborne debris such as dust and pollen. As this debris builds up within the air ducts, the HVAC system loses its efficiency and pushes the debris back into the breathing air each time it operates. 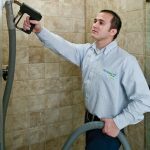 ServiceMaster by Monroe Restoration provides air duct cleaning services to remove dust and debris from the air ducts of homes and businesses in Goshen, IN. These services will improve the overall efficiency of your HVAC system and help create a healthier environment. 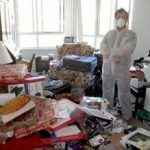 Hoarding has been misunderstood for a long time but we have learned much more about hoarding in the last several years as it has gained more attention. Hoarding is a mental disorder and those that struggle with hoarding have major anxiety that prevents them parting with anything they have gathered in their home. The conditions that hoarding behaviors create are dangerous as the pile of hoarded items increases the risk of fire and injuries and may even harbor mold or bacteria growth. ServiceMaster by Monroe Restoration provides hoarding cleaning services to help hoarders in Goshen, IN clean and restore their homes to a safe condition. We understand that hoarding is a sensitive issue and we treat the affected individual with respect and compassion throughout the process. Certain disasters such as flooding, fires, storms, and accidents can cause damage to the structural core of a home or building, leaving it unstable and dangerous. In these instances, it takes quick stabilization to secure the building and construction services to get it back to its original condition. ServiceMaster by Monroe Restoration provides complete construction services in Goshen, IN to repair and rebuild homes and businesses that have sustained heavy damage. Our construction crew can plan, implement, and manage the entire process from start to finish. 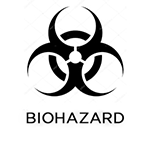 Encountering biohazard materials is very dangerous and in cases of tragedies such as a violent crimes or accidents, it can also be difficult emotionally. Trauma scenes involving a serious injury or death often contain blood and other bodily fluids that are extremely dangerous to handle or clean up because they contain disease causing toxins. You must contact a licensed professional to handle biohazard cleaning on your property. ServiceMaster by Monroe Restoration provides biohazard cleaning services in Goshen, IN to safely remove biohazard materials and disinfect the affected area. For cases involving a serious injury or death, we work diligently to restore the scene and treat those who are grieving with compassion and respect. Very few kitchens and bathrooms are without tile and grout surfaces as they are the ideal choice for tough, moist environments. These rooms are used many times a day and as a result, the finish will slowly wear away and allow dirt, mildew, and other debris to accumulate on the tile surfaces. Mopping alone is not enough to remove stains and mildew from tile surfaces and grout lines. ServiceMaster by Monroe Restoration provides tile and gout cleaning services in Goshen, IN to restore tile and grout surfaces with our advanced cleaning methods. Our technicians will ensure that all debris buildup, stains, and mildew growth are removed to help your tile and grout surfaces look better and last longer.